I wrote the following on the first leg of our flight to Shanghai. I thought I would post it once we landed in LAX and due to technical difficulties put it off until we arrived in China. 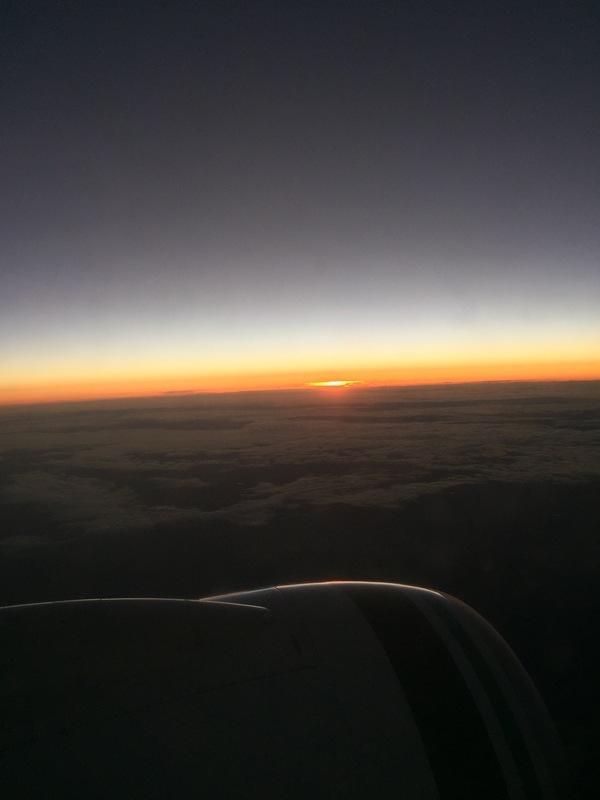 Sunrise photo taken on our flight from Portland to Los Angeles. 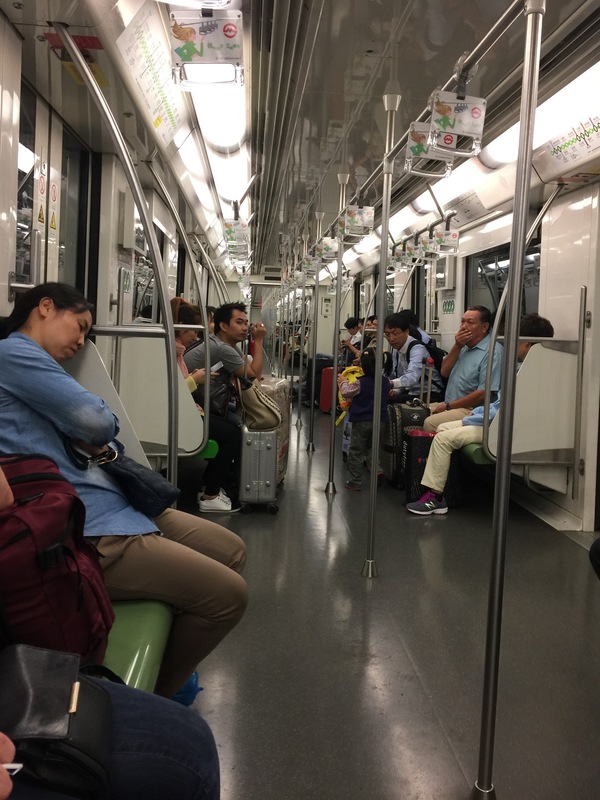 Later, while standing, shoulder to shoulder, with dozens of people packed onto the Shanghai subway system, exhausted from 20+ hours of travel I reflected on the title to this post. The subway train had changed direction, heading back towards the airport, five long stops ago, and we had not realized it. We were a little puzzled by the exodus off the train. The train was suddenly almost empty. A little old lady had gestured to me but I had totally misunderstood. Tired and a bit cranky I reflected on the post I had written on the plane and thought to change the title to “This is where the Sh-t gets real!” After two hours on the subway, hauling heavy backpacks made heavier by our fatigue, we found ourselves walking down a dimly lit street towards our Airbnb accommodations for the night. Without a sim chip in my phone I had no access to call our host. I had planned on using the Waze app on my phone to locate the apartment. Everything was in Chinese script. I had the name of the street in English and the name of the building in script. We missed seeing the street sign dodging some Chinese drivers intent on making right turns no matter who or what was in their path. Chinese drivers are a separate post altogether :). Eventually I stopped an elderly Chinese couple and showed them the four character name. The nice lady smiled and showed us the way. Turned out we were standing right in front of the building!!! You may notice several posts today. China censures the internet to the extreme. I found myself without access to WordPress, Google, Gmail, YouTube, FaceBook, and Yahoo just to name a few. After the mass exodus from the Shanghai subway! ← This is Where it Begins – Our Life as Nomads!